Anguilla Hotels and Anguilla Resorts? Update 2016: As of late August 2016, Four Seasons Anguilla has assumed management of luxury resort, Viceroy Anguilla. After 5 years of bringing modern luxury to Anguilla's shores and giving our island home a huge boost, join me in saying a big thank you to Viceroy and a warm welcome to one of the world's largest leading luxury hotel brands, Four Seasons. 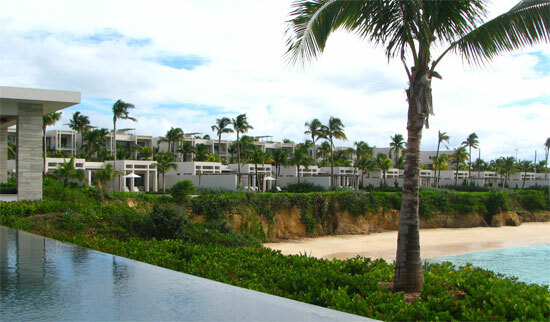 More on Four Seasons Anguilla here. Book Four Seasons Anguilla here. See more on the Four Seasons experience via the video below. In Anguilla's early tourism years, travelers seeking luxury Anguilla hotels had but one choice. Malliouhana Anguilla was the only luxury Anguilla hotel. The upscale market quickly developed. Cap Juluca was hot on Malliouhana's heels. 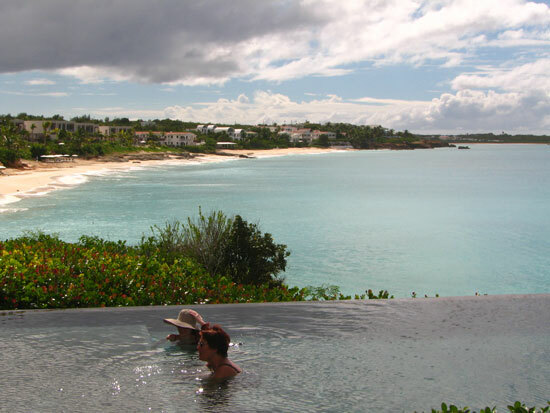 Now, there were two high end Anguilla resort options. Next? 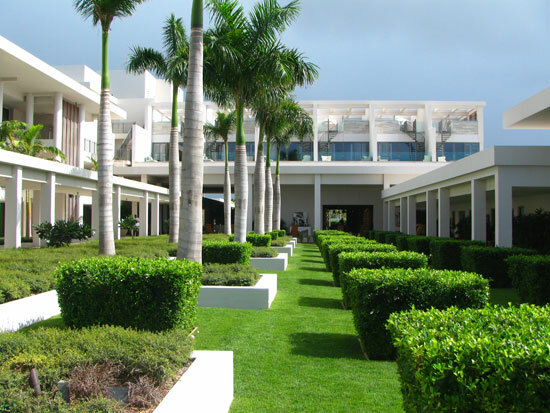 CuisinArt (now known as CuisinArt Golf Resort & Spa) joined the scene in the 1990s. And that was that. 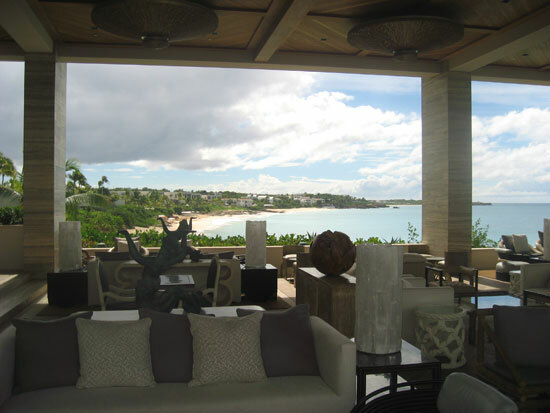 The Anguilla luxury hotel market remained the same for a long time, with the "big 3" having a strong hold. Now it's time to take notice of a new luxury resort that is changing and re-defining five-star Anguilla hotels. An ambitious group of Californians have introduced a unique type of high-end Anguilla resorts. 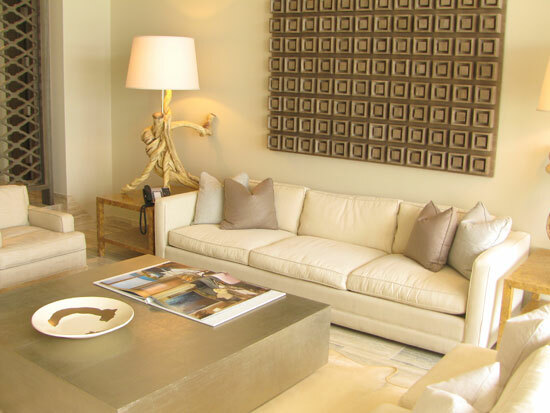 They have brought a modern edge of luxury to Anguilla, with an ultra high-end hotel and multi-million dollar villas. Anguilla veterans know the current site of Viceroy Anguilla as the old Cocoloba Beach Resort. Rested on the majestic promontory between Meads Bay and Barnes Bay, this seemingly flawless spot has in fact been the ruin of many marketers of this Anguilla hotel and Anguilla resort. Cocoloba Beach Resort changed hands multiple times. Upon each transaction? They failed. The spot's undeniable beauty seemed so "fool proof." Management teams would come in, scrub the windows, repolish the floors, restock the bar, determined to be the team to turn it all around. This time, they swore they would do it right. 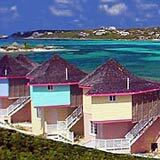 Back in 2002-2004, during our Anguilla villa days on Barnes Bay, we would visit the site of many failed attempts. The pool had become a swamp. The furniture was stacked and tattered. Mother Nature had taken over, reclaiming what was hers. It had once again becomea ghost hotel. Not even the bravest ghostbuster would dare spend a night. Then, the Viceroy people came in, with a new no nonsense approach. The first step? Hit "reset." They razed it all. With a different vision (and perhaps a twinge of superstition) they leveled the old Cocoloba. It was time to start over. 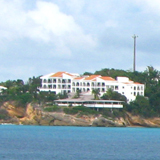 Plans and construction on Viceroy Anguilla began in 2004-2005. 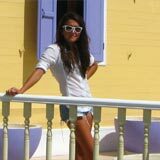 The project is part Anguilla resort and part Anguilla villa units that are for sale and can also be booked for vacation. Construction on their luxury Caribbean villas and Anguilla resort project continued well into 2006-2009. 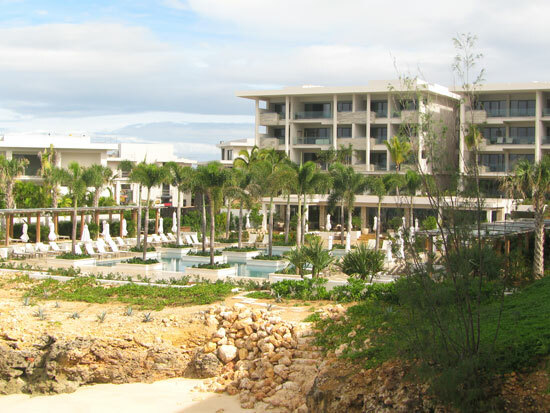 After five years of building, the Anguilla resort was nearly complete. 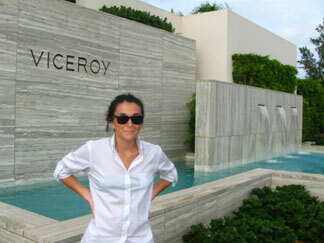 Despite the ongoing construction (parts of the hotel and villas on Meads Bay), Viceroy was ready to receive their first guests. The casing was flawless. Physically, their dream had been realized. But the inner workings were another story. Christmas 2009 was somewhat of a PR nightmare. 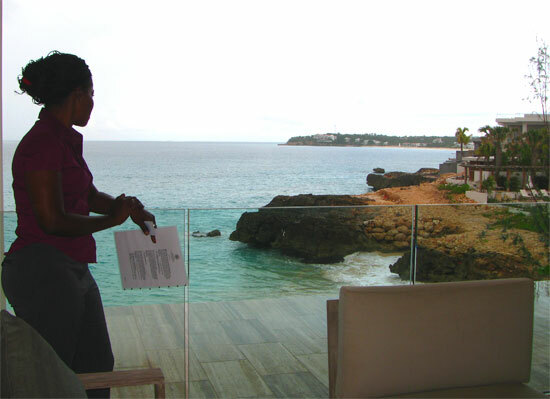 With record rain fall in Anguilla that December, the resort suffered significant leaking and other problems, including complaints about service. Prices of $1,000/night (prices since reduced) suggest a certain level of hospitality, and Viceroy wasn't coming through for the Park Avenue crowds who had arrived by the private-jet-load. While the Anguilla hotel was off to less than desirable beginnings, some people smiled a silent smirk on the island. For many Anguilla devotees, Viceroy Anguilla had become a project that was a delight to watch nose dive. 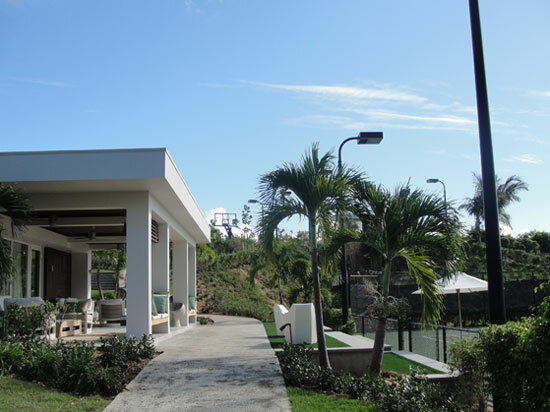 Big, imposing, all concrete, with a modern design, the project felt very "un-Anguilla." Some resented the 166 room resort and seemed to secretly be pulling for its failure. With the climate on island not in their favor, and the buzz off island (online word of mouth) getting worse, Viceroy had the odds stacked against them. Rumor after disastrous rumor came crawling out of the wood work. I wondered, "How many of these can really be true?" 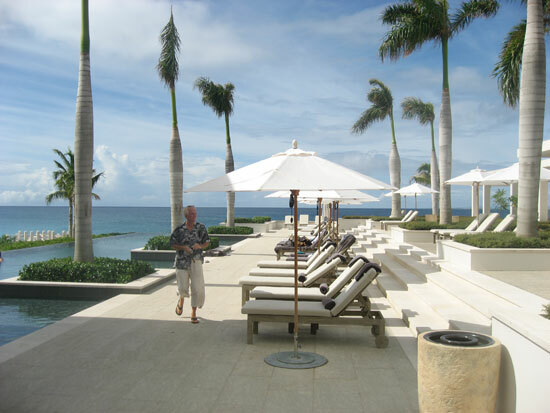 It was time to check out Viceroy Anguilla for myself to either put a lot of horror stories to bed, or, at the very worst, to see Viceroy Anguilla before it became another cobweb-laced victim of the Cocoloba curse. Upon entering Viceroy Anguilla, I thought one thing. We are not in Anguilla anymore! It is sensational in its own way. If you think of it, what is the Anguilla we know? Each Anguilla resort is different. This is not the Caribbean-charm of yesteryear as presented by Malliouhana. This is not the Moroccan-infused beach escape of Cap Juluca. This is not the understated American-Anguillian classic comfort achieved at CuisinArt. Viceroy has its own style. Chic, modern, cutting edge, Viceroy is known for its hip appeal. There is no doubt about it. 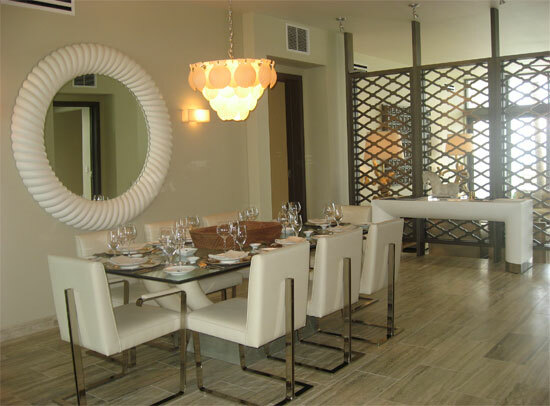 From the architecture to the decor, Viceroy Anguilla looks like Viceroy Miami. But, what the Viceroy nay-sayers neglect is that even though the look is similar, they are far from being mere carbon copies. Viceroy applies their modern taste to all of their hotels and resorts, but still captures the unique feeling of their locale. For instance, Miami is one of the top nightlife destinations in North America. Fittingly, Viceroy Miami features their own private club on the 50th floor of the resort. 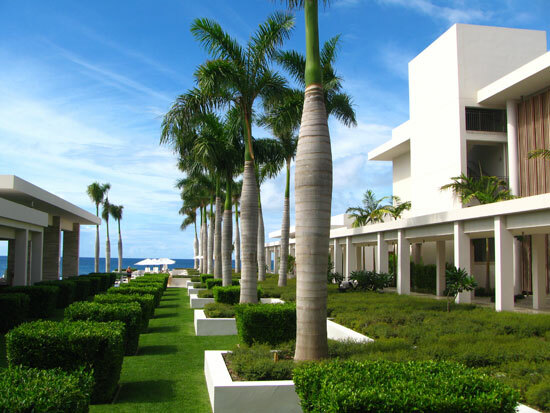 Viceroy Anguilla may look like Miami, but it feels Anguilla. Forever quiet, calm and laid back, this is still Anguilla. Eager to see beyond the borders of the entrance, we waited in the lobby to meet our hostess who would show us the rest of the resort. Encased in black tile, the entrance feels slightly Tim Burton-esque. A driftwood chandelier hanging here, a naval mine inspired lamp there, an offbeat surprise around each corner. But somehow, like some the hippest and ever esoteric New York City hotels, it all works. Each piece of decor hangs together. Beyond the shade of the lobby, we passed tall palm after tall palm. To our left, our hostess pointed out two chic boutiques that carry a number of high-end designer clothing and accessories, should you feel the urge to splurge. Sunset Lounge is one of five eating experiences you can have at Viceroy Anguilla. It has quickly become one of our favorite spots for an evening drink and a light bite from the bar menu. The menu features kobe beef sliders, and other bar favorites along with the best sushi you can get on the island. Try Yuki's favorite, the spicy shrimp. Their drink menu features such concoctions as the classic mojito and (their own creation) the Anguilla-hattan. Which beverage sounds best? I still haven't made up my mind! Perched on the beach's curve, the unobstructed views are breathtaking, accented by the high ceilings and rich stone pillars. A calm negative edge swimming pool is located at the cliff's edge... The perfect place to sip on a rum punch (made with local Pyrat Anguilla Rum!). From the pool you can walk out to the very tip of the rocky ledge that separates Meads Bay from Barnes Bay. In the Cocoloba days you were able to climb down the winding stair case onto a landing by the water's edge where you could watch (and some days even feel!) the waves wash in. Today it is roped off (Viceroy doesn't want you slipping and sliding your way into a neck brace! ), but you can still enjoy the feeling of total freedom from the private ledge where the photo below was taken. 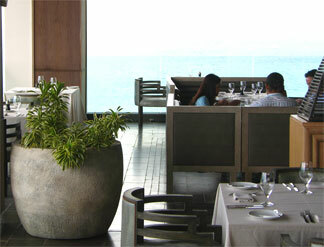 Across from Sunset Lounge is Coba, Viceroy Anguilla's "Signature Restaurant." Within the first two months of Viceroy's soft opening, friends declared to have had some of the most memorable meals of all of their Anguilla vacations in this restaurant. "Simply exquisite! There is nothing like dinner at Viceroy!" However, in subsequent months the reviews started to become mixed. From the service to the limited menu, the complaints have been many. But, Viceroy listens. They are turning it around! One of our friends had a particularly sour experience. But, it was handled with style and grace. The entire meal was comped! Viceroy has taken all comments and criticisms seriously and worked hard to provide the five-star service they are globally known for. One small example, they have improved sushi portion size and quantity according to guests' suggestions. Viceroy is re-establishing more of the glowing reviews of their first days. And once their world class cuisine is back on the menu? Everything else will fall into place. Because, the setting is unforgettable. In Coba, you are at the very edge of the steep point that divides Meads Bay and Barnes Bay. I literally mean, on a cliff's edge. Some nights you cannot have seaside tables because the ocean spray is simply too strong! The restaurant is complete with driftwood art, avant-garde pyramid sculptures, and even some "special seating," plush chairs that could have been plucked right from the Mad Hatter's tea party. Set back from the cliff's edge and the two unique dining experiences, the main building also houses two large exercise facilities and many guest rooms, suites and penthouses. On our way to the Viceroy Anguilla hotel rooms, I paused, taking it all in. The hallway ahead was stunning. No Anguilla hotel or Anguilla resort measures up to this level of contemporary-cool, capturing a specific clientele of the jet-set. This is Ian Schrager chic, influenced by some of the hottest hotels and nightlife spots in New York City. Clean and simple lines and neutral colors, amplified but outstanding accents. What were the rooms like? These one bedroom suites are above the main lobby. They are 750 square feet, featuring a living and dining space. But what makes these suites worth the heavy price tag is that which awaits you at the top of the winding staircase... A private rooftop deck and plunge pool! At Viceroy you don't sleep near the sea, you don't sleep by the sea, you seem to sleep right on the sea. The views are never ending, right over the edge of the cliff and onto clear blue. Viceroy rooms begin at roughly 500 square feet with an additional 175 square feet of outdoor living space. The suites can go as large as 2,750 square feet with an additional 575 square feet of outdoor living space! 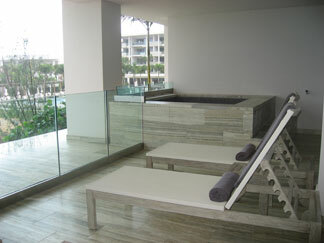 The suites feature outdoor jacuzzis and private plunge pools and sun decks. 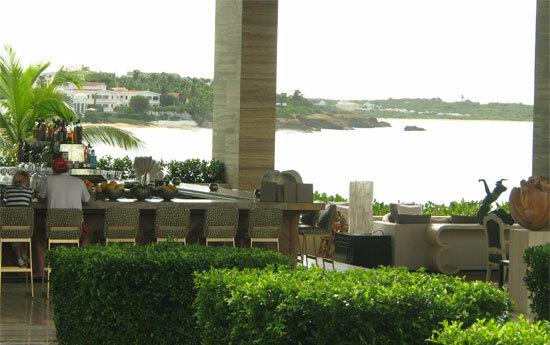 The exteriors define this Anguilla hotel, the interiors continue in perfect harmony. Each room was individually designed by Kelly Wearstler, acknowledged by The New Yorker as a "grande dame of West Coast interior design." Hand-picked bear skin rugs and rustic antique mirrors accentuate the quiet subtle room that is otherwise luxuriously natural, drawing on a soft pallette of colors, fabrics and feelings. 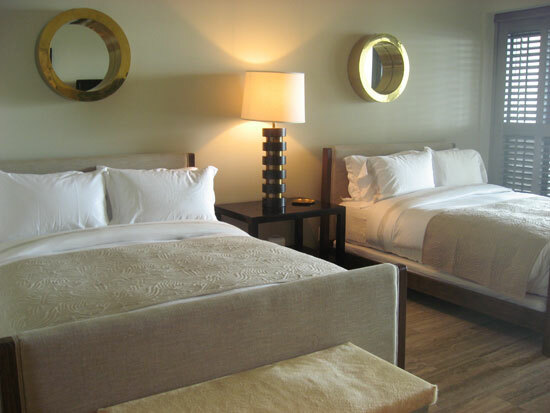 The linens are divine, the pillows and comforters downed and luxurious. Each room has a flat screen TV and a full media center, with wireless high speed Internet. 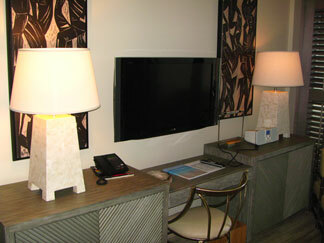 Viceroy provides all of the technology to accommodate every in-room office need (fax lines, two phone lines, etc.). The 24x7 room service is my personal favorite feature that isn't available at many Anguilla hotels and resorts. Room service ends at most resorts by 11:00, but not Viceroy! 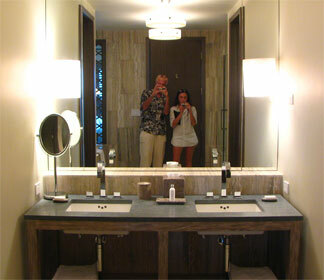 The bathrooms are large, encased in a tranquil neutral marble. 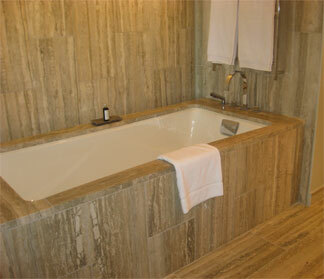 The oversized bathtub is the perfect spot to decompress and gather your thoughts. Each bathroom also has a shower and high-end shampoos and soaps. Of course, you can always request in-room spa services. Speaking of paying your body the attention it deserves, there was one last stop in the main building before we explored the rest of the 35 acre property. 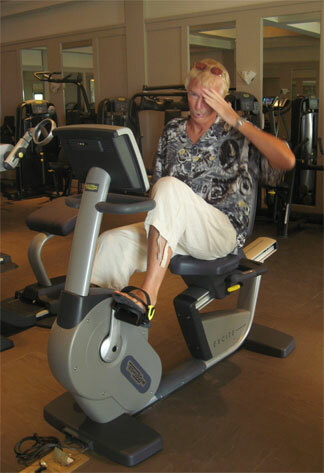 "Bismark" and "Foxtail" are the Anguilla hotel's two fitness centers. 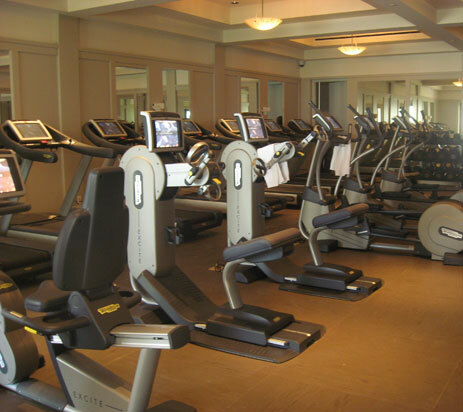 In one room you will find row upon row of cardio machines and spin bikes. The hotel has private trainers available for hire. The second exercise room is purely dedicated to yoga and pilates. The yoga and pilates studio is designed to free your mind, allowing you to meditate in peace. Both rooms are air conditioned, complete with water and fresh fruit for the end of your exercise. My Dad really earned his piece of fruit! 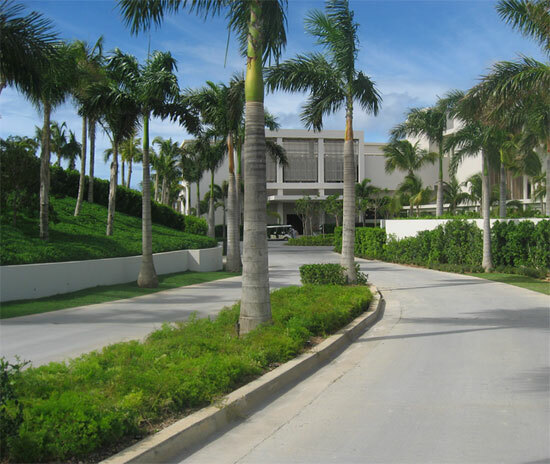 This 35 acre property's main building is in the middle of Meads Bay and Barnes Bay, on a rocky point. 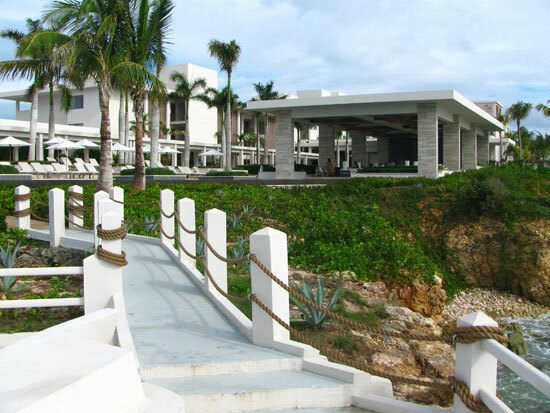 From there, the Anguilla resort extends, sprawling onto both beaches on either side. Meads Bay is home to two more unique dining experiences that are still under construction, expected to be completed within the next couple of months. Aleta and Bamboo Bar & Grill. Bamboo Bar & Grill will be a casual beach bar serving crayfish, lobster and other Anguillian BBQ favorites right on the beach on Meads Bay. Aleta will be a full service all-day restaurant specializing in cuisine from around the Caribbean. The promise of a variety of rotis is already making my mouth water! 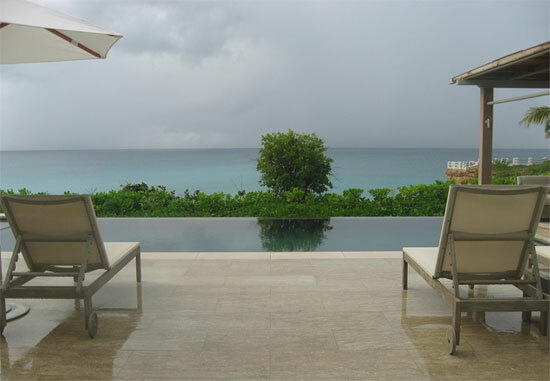 Aleta is located behind the second pool on Viceroy Anguilla's Meads Bay level. This is the largest pool in the Anguilla resort and one of the most unique of all Viceroy pools around the world. In a modern lagoon style, the pool extends the full width of the restaurant, tall palms dotting the blue water. Standard rooms, suites and penthouses are located above and behind the restaurant and pool. Viceroy hotel room suites continue onto Meads Bay. This is the site of both their beach-front family pool and terrific beach restaurant, Bamboo Bar & Grill. On the other side of Viceroy's main building lies beautiful Barnes Bay. 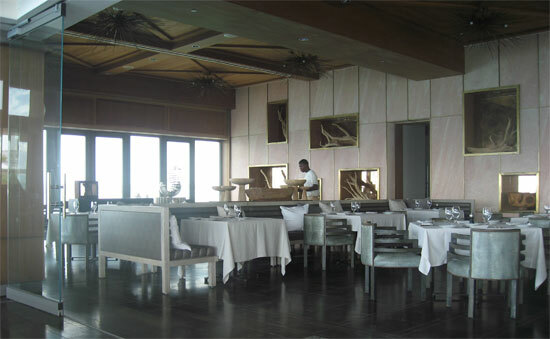 Barnes Bay is home to yet another, the final, dining experience to be had at Viceroy Anguilla. 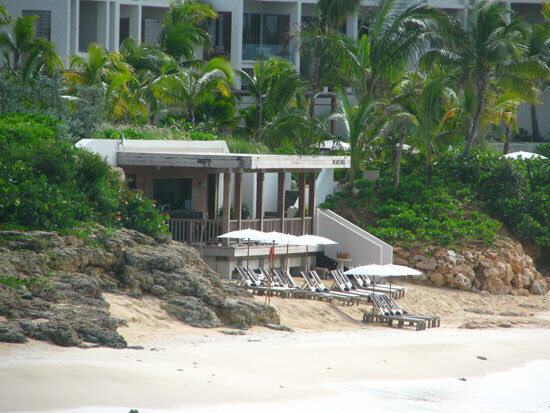 The Half Shell is an idyllic high-end beach bar in the spirit of Anguilla. A small, plush beach-side "shack" on Barnes Bay, serving up seaside favorites, Mediterranean food and tropical drinks right to your beach chair. Click for more on Viceroy's Half Shell. Barnes Bay is already known for hosting some of the most luxurious parties between Billy Crystal, Robin Williams and Robert de Niro. 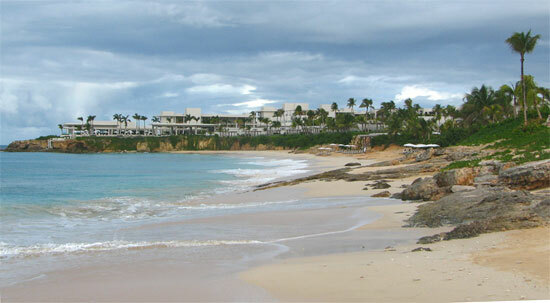 The beach has been lined with ultra high end Anguilla villas for decades. Now the beach can add Viceroy villas to its repertoire. 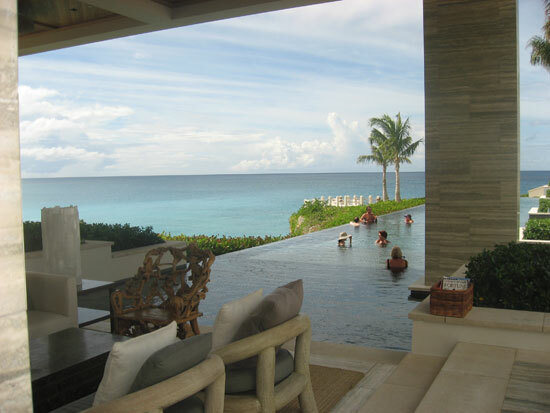 Viceroy Anguilla villas are an experience within themselves. 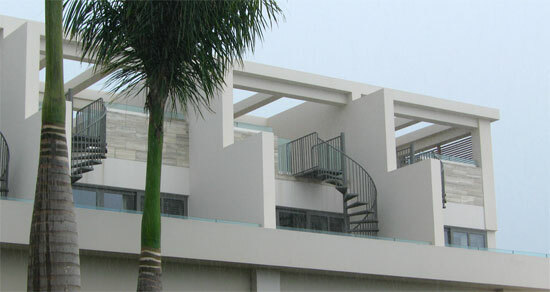 A Viceroy villa is a resort within a resort. This is ultra high end. Ranging from four to five bedrooms, the closest villas to the beach are the "beach front villas." Our hostess brought us to a single story villa. But most of the villas are two stories, some even spanning the whole two stories. They range from 4,300 square feet inside and 2,300 square feet outside, to 6,100 square feet inside and 3,300 square feet outside. While floating through the heavenly villa, any worry about Viceroy evaporated. Some have cast Viceory Anguilla aside as a concrete eyesore. That, however, was during construction. The property is now flawless, inside and out. This is a unique five-star luxury experience, which will give the "big 3" a serious challenge. The villas are extraordinary, expansive with no expense spared. 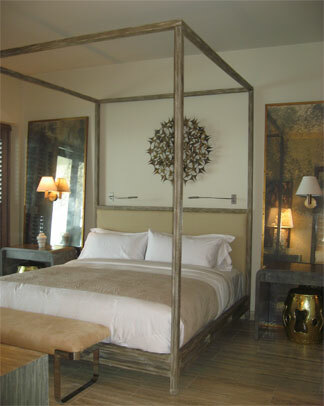 Guests can expect a private villa experience with all of the comforts and securities of an Anguilla resort. 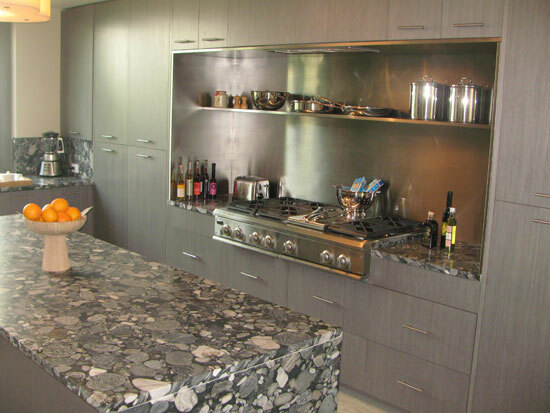 For instance, the gourmet kitchen has all of the latest appliances including Nespresso machines and a wine cooler. Each villa has a private pool and spacious out door deck. Outside there is another large cooking and dining space, and a living space. 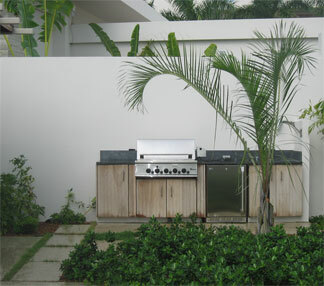 The cooking area features a BBQ, wet bar and cooler for drinks. The fridge comes pre-stocked with a selection of your favorite foods and beverages. The bathrooms are encased in marble, complete with rain shower heads. 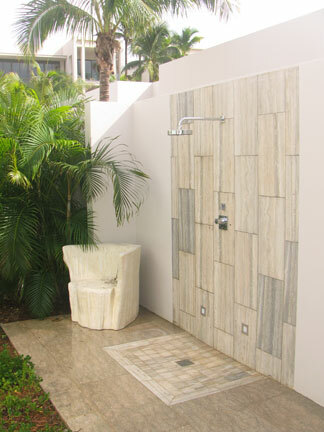 The private outdoor shower is set in the villa's private lush gardens. The richest stone under your feet, the experience is utterly refreshing. 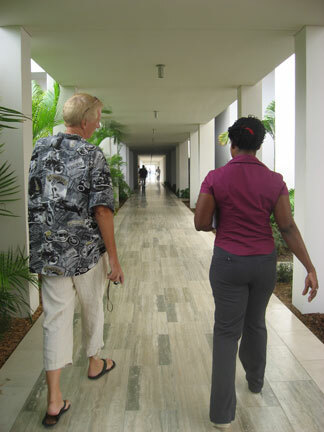 Arranging your transportation from St. Maarten or the Anguilla airport to the resort, and back. Laundry services, priority status, and butler service. These villas are currently for sale, upwards of $4 million. The villas can be booked for holiday through Viceroy's official website. But, what really makes it all worth it? 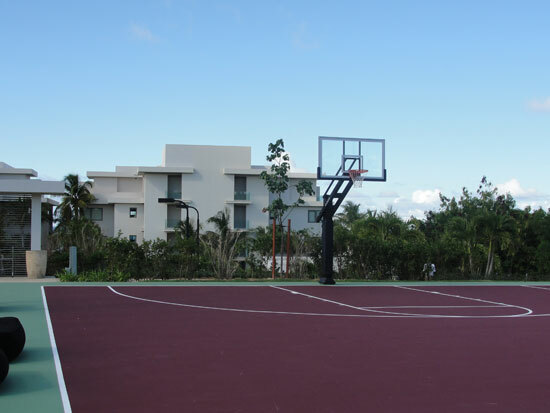 Viceroy Anguilla has also added a stellar outdoor sports area. Approaching the tennis facilities at Viceroy Anguilla. The building on the left is a sports-designated building. Surrounded by gorgeous palm trees, it sits slightly elevated and just to the south of some of the ocean-front rooms. Keeping in line with all things pleasing to the eyes, as this luxury Anguilla resort does, the tennis court area is crisp, clean, green, and pristine! They have areas to sit and observe the matches... complete with funky, comfortable chairs and a shaded lounge area. 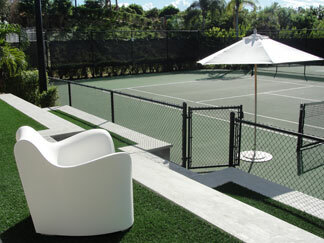 As you might know, Anguilla is already a great island for tennis thanks to the Anguilla Tennis Academy (ATA). Just in case you don't know... The ATA, founded in 1996, is a non profit organization that provides year round tennis training to Anguillian children with special emphasis on empowering children through the sport of tennis. Basketball, badminton, volleyball, and even a rock-climbing wall! 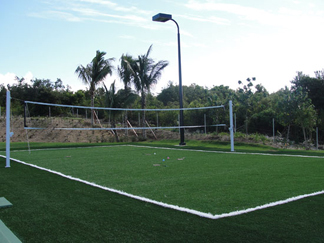 The volleyball court is the first one in Anguilla that is outside and not in the sand. If you've played volleyball in the sand, you know it can be fun but if you are no Karch Kiraly it can also be very challenging for a more serious game. Likewise, this court is just as fun for a less-serious game. I liked the option for versatility. Speaking of versatility, the court can also be used for badminton (as I mentioned above). In fact, the day I came by to have a look there were birdies and racquets lying on the court. The basketball court sits just beside the volleyball / badminton court. In between, there were a couple of big, comfy, black, fluffy beanbag-like chairs to rest on. The basketball court is a nice shade of maroon, surrounded by green has a nice, groomed look it. The court has a slight spring to it as well and the backboards looked sharp too! I know that there have been plenty of current and former NBA basketball players that have vacationed at Viceroy Anguilla. See Michael Jordan's jet parked at Anguilla's airport, here. The rock-climbing wall at Viceroy Anguilla is looking good! How fun to think you could shoot hoops on the same court as one of these NBA players, and while on an amazing island at that! 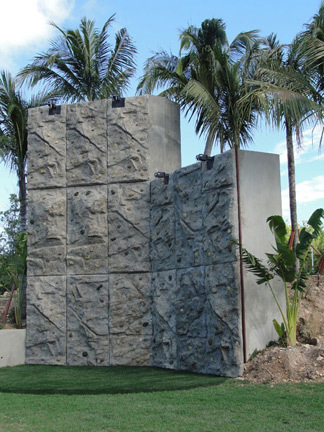 The rock-climbing wall is the last of the new sports options at Viceroy Anguilla to be complete. It's almost ready for use. What a great way to have fun and also stay in shape while on vacation! I almost forgot to mention, there are lights for playing on in to the evening. They thought of everything! It will be interesting to start hearing about tennis events taking place, likewise to hear the subtle whispers of which NBA star is on Anguilla and playing pick-up games at Viceroy. Also, if water sports are more your speed, click here to read about Anguilla water sports, some of which are offered at Viceroy. These include stand-up paddle boarding, kayaking and surfing (when the swell is just right!). I would love to hear all about your stay at Viceroy Anguilla. Click here to share your experience! At the end of the tour we thanked our hostess graciously. Had the Viceroy myths been dispelled? The reality is that Viceroy is not like anything else the island has seen before. Viceroy has replaced rattan and wicker with the ultimate in modern luxury. Management's dedication and responsiveness to its clientele, after its first year in operation, now has Viceroy ready to play in the deep water with the best. We even saw Mariska Hargitay poolside with her family!